Colorado’s economic boom is undeniable, which is reflected by the job growth as well as the commercial real estate in the state. A growing work space requirement implies a need for increased real estate boom opportunity in the Colorado market. 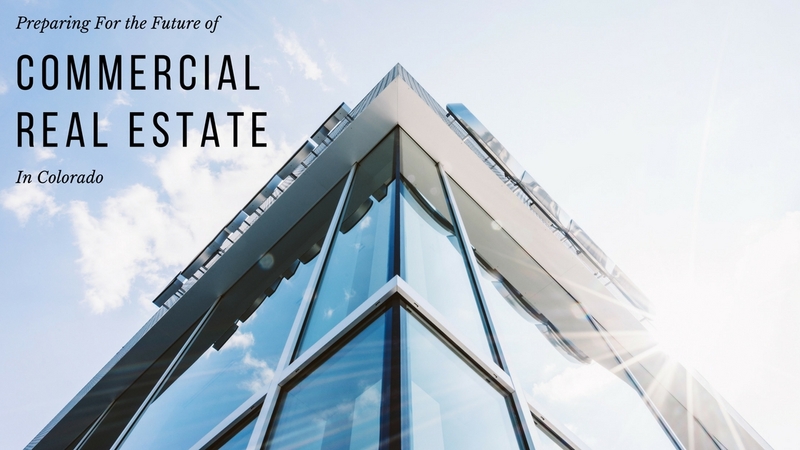 The future trends for the commercial real estate can be very easily projected from the forecasted increase in population of about 380,000 between the years 2010 and 2040. The ages tend to vary between 65 years old to 39-45 years of age working class people that will result in an increased number of technological and medical services industries thus creating a commercial real estate demand. As for the coming year of 2018 Real Estate lending will continue growing as it did for the year 2017. A general interest towards the secondary market is seen to incline as some lenders are attracted to the strong market fundamentals and exciting prices. Market uncertainties such as increase in interest rates and global politics may influence investor behavior. Investors will choose to search for assets in smaller markets with higher population and job growth opportunities to get higher returns. Though the numbers, in some cases for the rental rates of office space for absorption and vacancy were witnessed as flat, positive momentum or expected increase in the office market is still forecasted towards the end of year 2017 and into the year 2018. Considering the growth in commercial real estate trends in Colorado for the year 2017, the market is not estimated to cool down in the foreseeable future.